It was a partial Rockrats reunion with Holdbreaker and Moo Moo Girl when I went back to Damai for the third time in more than a decade. It looked like those two never left the wall, the way they breezed up their routes so effortlessly. For me, it felt like I was finally starting to feel the flow. Well, almost – except for that last route that required a somewhat less than graceful scramble up onto the ledge. Holdbreaker made mince meat of that crux, though, and sent it like he was taking a Sunday walk in the park. 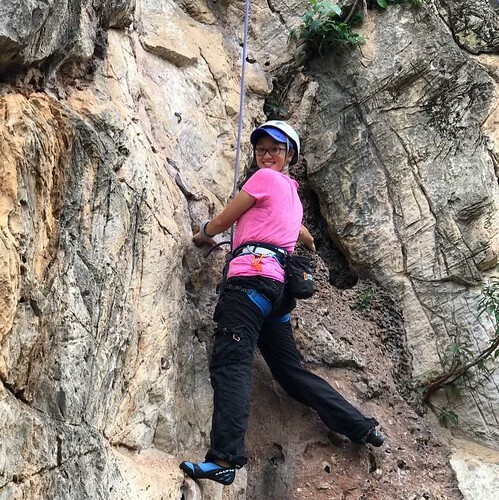 On the same route, Moo Moo’s belayer is trying to give her some beta on a foothold at her knee. Ignoring all advice, she high-steps onto the ledge and leaves him speechless. 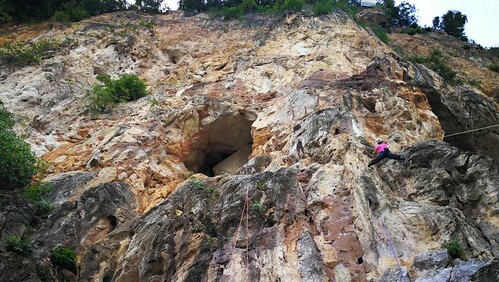 On this route, there is an arch with an inviting hole that lures newbie climbers off route. 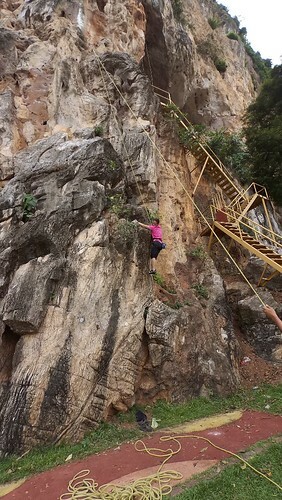 The path is around the arch, but the temptation to go through the hole is so tempting that many a newbie has nearly made that mistake if not for the advice of an experience belayer warning them back on course. 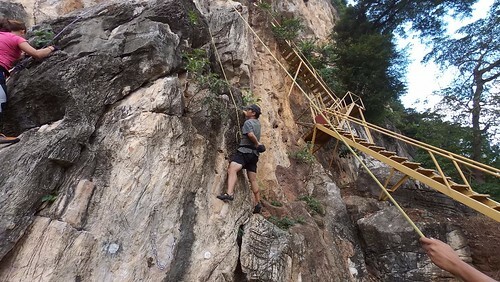 I remember it well because I, too, wanted to go through the hole on my very first attempt on this route more than a decade ago. It felt good to be back and climbing with some rhythm instead of that desperate scramble with no finesse. 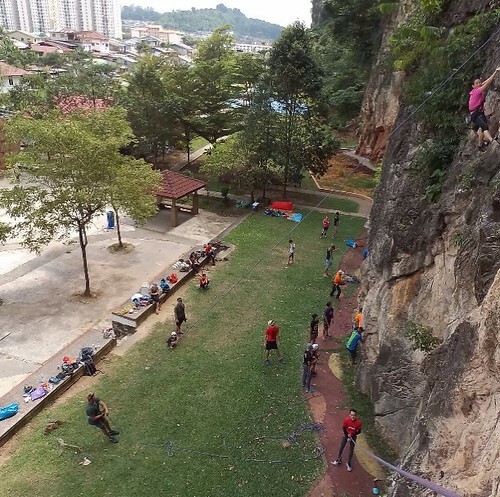 I may still be a long way off from lead climbing with confidence again, but I’ll take the baby steps for now. We brought the second generation climbers to the wall for the first time and they were amazing. After overcoming the initial discomfort and fear, some of them were blazing up the walls with complete abandon. Maybe I can get lazy and let the new generation go on lead instead.